Peter was admitted to the bar in 1980 and has been in private legal practice in New Zealand since that time. He worked for another law firm for three years before joining Geddes and Maciaszek in 1983, becoming a partner in 1986. He practices in many areas of law including residential and commercial conveyancing, estates, wills and trusts, and family law with a specialist interest in relationship property and will disputes. 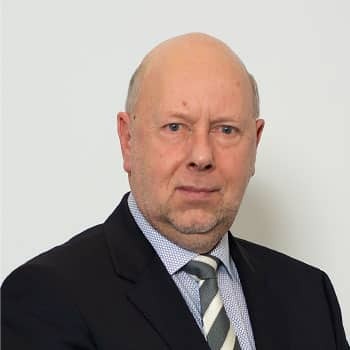 Peter has been active in various ways in local New Zealand Law Society bodies including the role of Chairman of the Financial Assurance Committee and now a Deputy Convenor of a Standards Committee. Outside of law Peter has had a passionate interest in all aspects of tennis including as a player, umpire and administrator and was on the Board of Tennis Canterbury Region Incorporated for 20 years (15 of those as Chairman or Deputy Chairman). He is currently on the Board of Tennis New Zealand and is an inaugural trustee of the Nga Puna Wai Sports Hub Trust. Some of his other interests include blues, jazz and alternative music, reading and passionately following other sports.